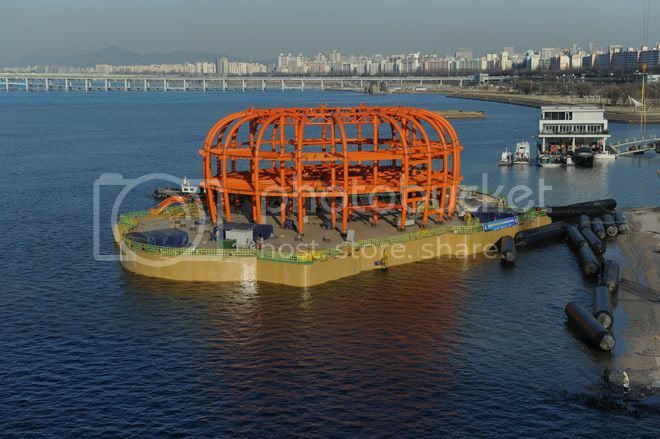 As big as a football field, a giant steel float may be Seoul's new landmark. 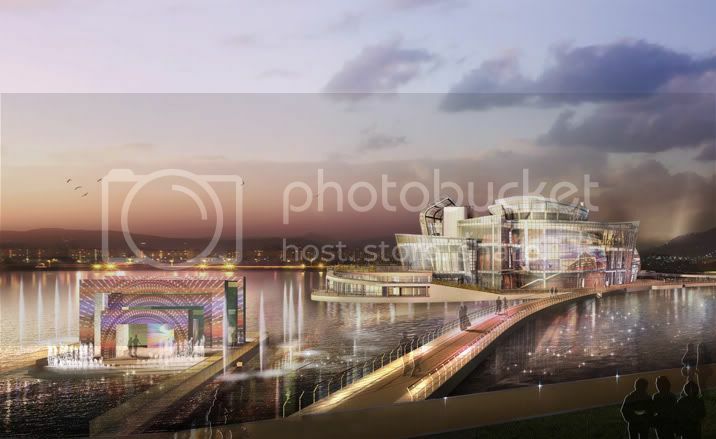 Located at the city's Han River, it will serve as an entertainment hub and be will accessible to the public as early as August of this year. 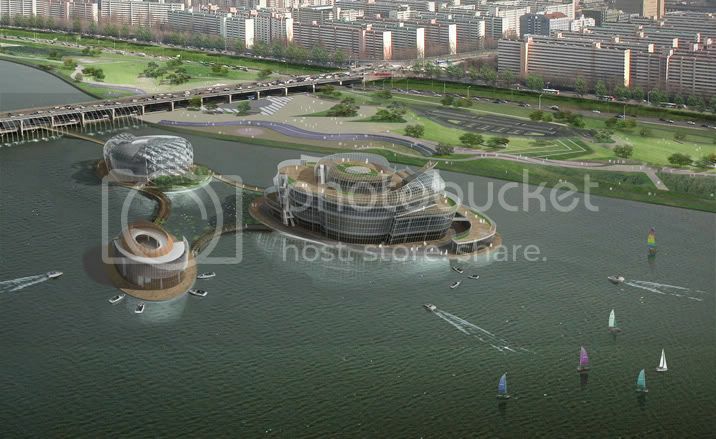 These are three artificial islets connected by iron chains. 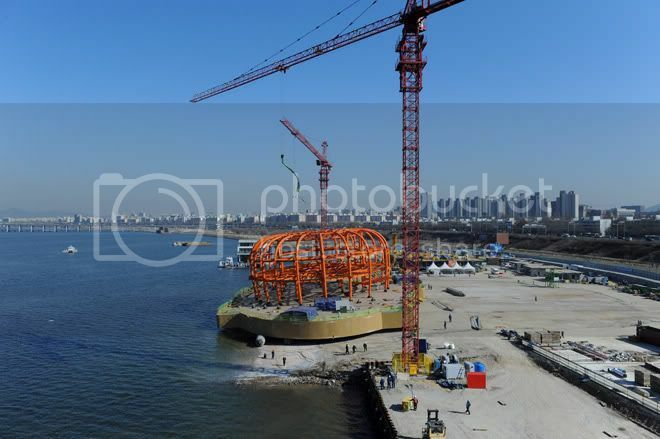 First of which is Viva which weighs 2,000 tonnes and measures 85 meters long and 49 meters wide. 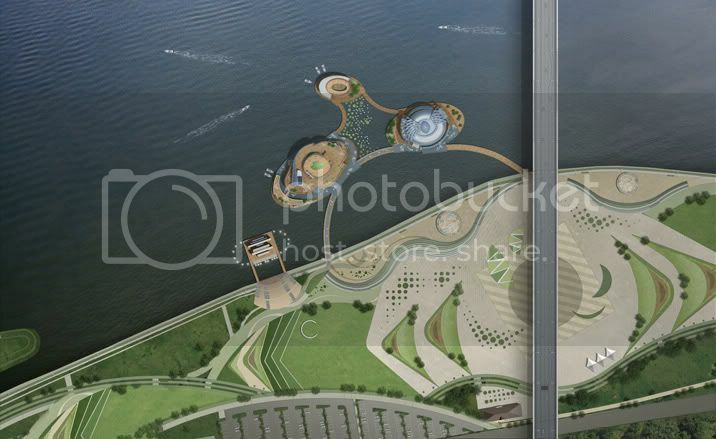 The two other islets are Vista and Tera to be launched by the end of April. 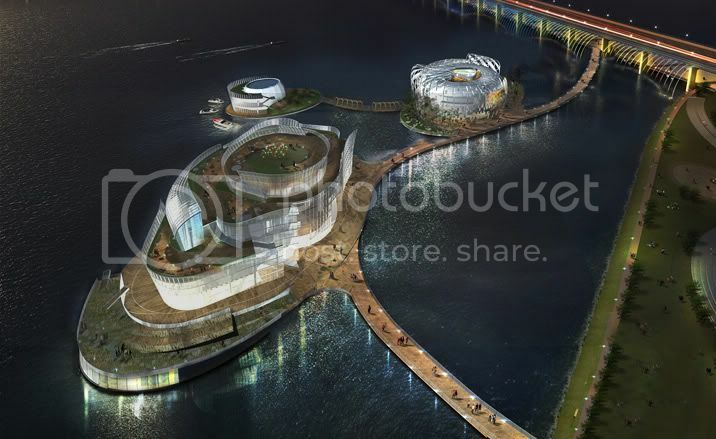 These man-made islets will be home to conventions, restaurants, exhibitions, water sports, and concerts.